A quick blog pointing to a couple of things, and putting them together. First, a story about Irish billionaire Dermot Desmond ringing the bell at the London Stock exchange (hat tip to @GustavusA on Twitter). "The biggest early driver of the project was the (now billionaire) financier Dermot Desmond, who put an initial proposal for a financial services centre to the government in 1985, and whose stockbroking firm part-financed the full-scale feasibility study by PWC. Desmond (who also owned some of the original buildings that would become designated to the IFSC project) put this proposal to his friend, the politician Charles Haughey, which led to a policy document launched by Haughey’s party, Fianna Fáil, during the 1987 election campaign, with a promise of 7,500 full-time jobs within five years. Desmond and a business partner were the anonymous authors of the document. Although the document asserted (p318) that it was “not oriented in any way towards the creation of a tax haven,” reality would demonstrate the exact opposite." ". . . the laws were fully in place within three months of the new government being formed. This pattern, an important component of a bigger tale that O’Toole calls “a lethal cocktail of global ideology and Irish habits,” fits closely our experience with tax havens or secrecy jurisdictions as places where laws are formed by small groups of insiders, collaborating closely with financial sector interests, with little or no democratic consultation or accountability." The smoke-filled room. Tax havens are often best described as private law-making machines, where laws are cooked up by rich gentlemen in luxurious leather armchairs, protected, fortress-like, from scrutiny. 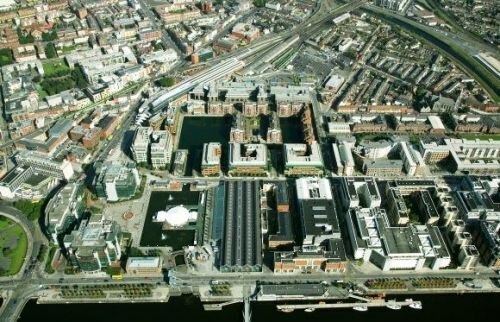 The new government believed it had discovered a quicker-acting formula for wealth creation: tax cuts to stimulate consumption, property to replace manufacturing as the source of wealth, Dublin to become a tax haven for businesses seeking to avoid the more rigorous regimes of London and New York. It is essential to understand that this is how laws are made in tax havens, the quintessential 'captured states' - captured by the global financial services industry, and carefully insulated from pesky questions that emerge from local democracy. To understand this properly, read first the "ratchet" chapter in Nicholas Shaxson's Treasure Islands, looking at how the UK Channel Island of Jersey and the U.S. State of Delaware turned themselves into tax havens. Then read this shorter recent blog, about the tax haven of Cyprus (with follow-up here). "Cyprus is a remarkably un-reflexive society so this issue appeared to have been ignored by every single journalist, academic and political actor on the island. A consensus emerged here that if the goods were being delivered there was nothing to be gained by reflecting on how those resources were secured. Why we can talk about 'state capture' by the financial services industry is how a nominally left-wing party such as AKEL has never once raised any substantive issues about how the economy had become absolutely dependent upon the tax haven model and Cyprus a conduit for the flow of foreign finance capital between jurisdictions." Then, once you've digested that (or re-digested it,) read the story about the IFSC. Once you understand this, you will understand a profound truth about the global financial services industry, whether located in tax havens or not. This is what the world needs to wake up to. More on this big subject in the coming weeks. No particular further comment about Dermot Desmond, except to say that he's got plenty of, shall we say, question marks over his head. And to ask that the London Stock Exchange might spend more effort honouring genuine wealth creators.